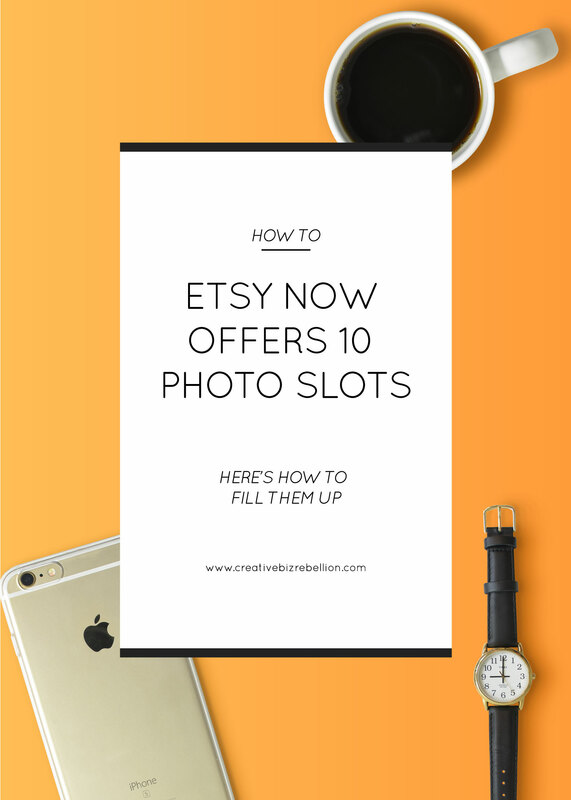 Ok so I know a ton of us woke up this morning to Etsy’s announcement that you can now use 10 photos per listing and I don’t know about you, but I am pumped!! However, I’m also a little overwhelmed at the thought of changing 350+ listings, but I know it will be worth it in the end. I decided to sit down and brainstorm some idea this morning on how I was going to utilize this new feature and I decided to just share my thoughts with you too! I know, I know, if you have been following me for awhile you know I’ve always preached to use what Etsy gives you to best optimize your listings, so I totally understand if you are feeling a little panicked right now, let me help you. Don’t panic. If you are like me and have hundreds of listings this task can seem crippling especially if you just updated all your listings to include all 5 photos. You just did all that work and now you have to start over? No friend. Don’t panic. If you have 5 photos on each listing you are far better off than the person with 1, so find comfort in that. You will start over and it will be a process, but I have some ideas below to make it easier for you. Trust me, it will be worth it. Keep what you already have and add to it. Don’t think of this as starting over, think of this as adding on. What you have now is working so keep it! If it’s not working this is a great opportunity to revamp your listings! When I go in to add onto my photos, I’m also going to revisit my copy on each listing and do some general shop maintenance. Set a goal. If you have a lot of listings set a goal to update a few a day, maybe start with 5 and see how that goes. YOU CANNOT DO THIS ALL AT ONCE, YOU ARE ONLY HUMAN. Do what you can when you can and before you know it, they will be done and you didn’t kill yourself over it. I’m lucky to have an assistant to help me, but we are still going to just do a few a day until it’s done. Batch your photos. Set aside some time every week to take some pictures. I take my pictures weekly and usually take about 10-20 photos in one shot. Remember you can use the same photos throughout multiple listings if it fits. Especially if you are showing variations, color choices, or size. Just start. Starting is the hardest part, but once you get going it will get easier. I know when faced with something overwhelming sometimes it’s hard to think and if we dive in too quickly we may regret the decisions we made later. This is why you need to take a beat and come up with a plan for your 10 slots. Don’t worry! I’ve brainstormed some ideas below! Feel free to use any of them and if you come up with anything not on the list please shoot them my way! I’d love to hear how you are utilizing this new feature! Studio Shot – Your product on a bright white background. Details – You can shoot your product from multiple angles. Group Shot – Shoot your products grouped together. Size – Show your product’s size in relation to a common object. Model – Show your product on a model. Lifestyle – Show your product out in the real world. Action – Take a pic of your product in action. Bottom line is that this is a GOOD THING! This will only make your shop better by educating your customers about your products. I hear Etsy seller’s complaining all the time that no one reads their descriptions or policies, well, maybe this is one of Etsy’s answers for that. Utilize these extra photo slots to best showcase your products and remember they don’t all have to be an actual photo of your product. Also, as an added bonus customers can now zoom in on the product! FINALLY! Ok, gotta go make my plan of attack to change up all 350+ listings! Wishing you loads of cha-chings! 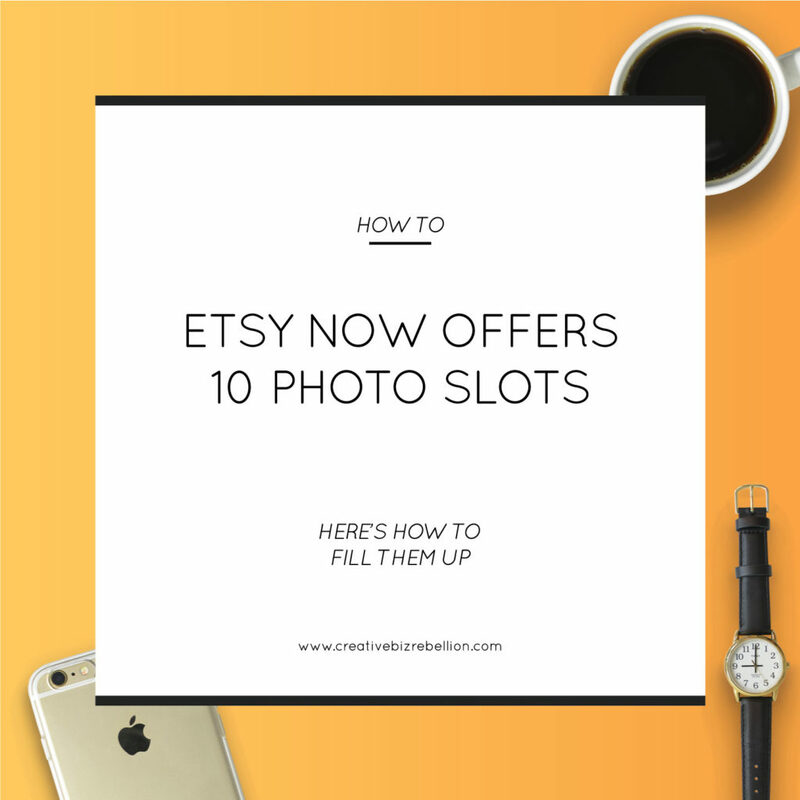 To be honest, a helpful article about filling up every slots in Etsy listing photos.